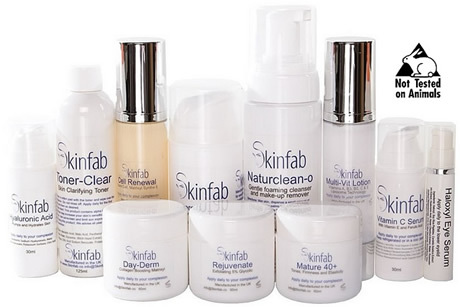 .Independent Expert Review of Skinfab. Simple way to pay for products with no need for a Paypal account. UK post is free. EU and the rest of the world, please add £5.50 to your order for postage. Do you do test samples? The only issue there is that there would not be enough product to let you; our customers see the benefits of the products. 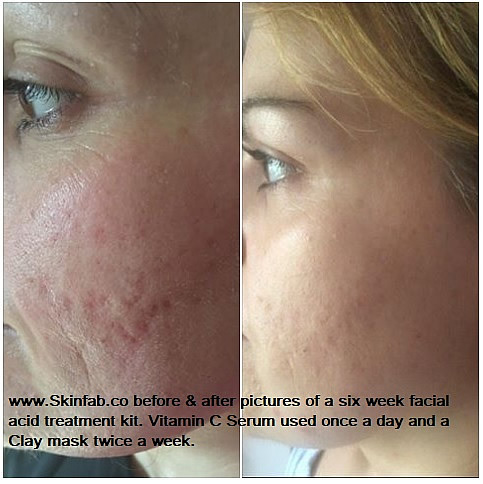 Most products ideally need 56 days of use, so a 5ml sample is not enough to have an effect. We could do samples of the creams to let customers feel how great they are, however you would not be able to judge the effectiveness of the active ingredients, but could make a judgement about the texture and feel of the creams. However the cost to do this would still be the same in postage cost, as if you bought the full product. So with that in mind, we offer a full money back guarantee if for whatever reason you are not happy once you have tested a small amount of the product. This eliminates the need for sample products. Simply return the product, after using a small sample and we shall refund, refund does not include postage cost. Sorry but we cannot refund if you have used the whole product. UK post - If you have placed an order and it has not arrived within 4 working days (UK post), please contact your local Royal mail sorting office as your item will be there due to your postman/woman not getting a response at your address when trying to deliver. The easiest way to do this is online via the royal mail web site. You can choose a date for redelivery with them that is convenient for you. Please note that after 18 days if you have not contacted your local sorting office then the item is posted back to us, this can take 30 to 60 days. International post ? If your item has gone through customs then your item will be delayed for 30 to 60 days. We have no control over this at all. However please contact your local sorting office as your item maybe there. My item is missing/delayed in the post? Please note that 15 working days must pass before an item is seen as missing in the UK, and 30 days must pass for international post. Within that time the item is simply delayed or waiting for you at your local sorting office, so please contact them. Sorry for the delay but I'm sure your item will turn up but it is important that this is looked into in a professional manner. I'm sure you will agree that we cannot send out replacement extra items until a investigation is carried out and the 15 days have passed for UK post. We take customers missing or delayed items very seriously as a possible crime of theft, so we need your permission to open a full investigation with the post office. Your postman/woman will be questioned etc. Determining the outcome of either finding the item or proving it is missing the police may get involved. It is sometimes found that someone else in the household has opened the item without informing others as the postman/woman remembers our unique sticker on the envelope, so remembers posting it. We except that there is no product on Earth that works for 100% of the population or that a buyer may have changed their mind, or bought the wrong product, so for the small percentage of people that want to return an item we offer a full refund of the unused product price, not including the postage cost. We cannot accept returns after ten days of the date you purchased. If you have opened the item or used it then please except that you have bought it at a discounted price and we cannot refund as we cannot except used returns on health and safety grounds. Please return unused and unopened item to address below and add your order number. Returns are FREE POST only if the product is damaged in the post, which is very rare, simply use the same envelope we sent the item in. Cross out your address and circle ours on the address sticker provided and then write return to sender damaged in post. Post as normal or if you wish to insure at your cost then please do so as we do not refund if the item goes missing in the post. If you have thrown the envelope out then I'm sorry but we cannot offer free post. If you are returning due to a change of mind then the post charges are your own. We cannot afford to pay for peoples post who simply change their mind or buy by mistake.